Welcome to IPAC Southwestern Ontario! My name is Francine Paquette, 2019-2020 IPAC SWO Chapter President. Our chapter has a rich history of supporting approximately 130 members with geographic boundaries that spread to three LHIN regions. Our members represent all health care sectors including acute care, long term care, community care, public health as well as industry. IPAC SWO offers face-to face meetings, webinars and educational workshops to meet the educational needs of our members. Our meetings provide a forum for networking, education and collaboration and we invite you and your colleagues to join us as a member or as a guest. Scholarship funding for members to attend the Annual IPAC Canada National Conference. I welcome you to contact any member of the executive to find out what IPAC Canada has to offer. Note: Registration closes June 11, 2019 at noon. Refunds cannot be processed after this date, however registration transfers will be accepted. Any refunds issued will be for the registration fee minus administrative and Eventbrite fees. Viral hepatitis including Hepatitis B and C, has been characterized by the World Health Organization as a major public health burden. In this webinar, PHAC's Sexually Transmitted Infections and Hepatitis team will present the latest national data for hepatitis B and C in Canada, following the release of the Hepatitis B and C 2016 report. They will present cases and rates of hepatitis B and C by age, gender and province/territory, and discuss trends over a 10-year period (2007-2016). See Calendar of events for registration details. The next annual IPAC Conference will be held in beautiful Quebec City, May 24-29, 2019. See the 2019 Conjoint Conference web page for further details. IPAC SWO in-person Chapter Meeting and Education Day- April 12, 2019 was a Success! Thank you to all of those who were able to attend the IPAC SWO Chapter Meeting and Education Day on April 12, 2019. The day started with the business portion of the day which was then followed by a presentation from our guest speaker Jim Gauthier, Senior Clinical Advisor, Infection Control with Diversy Canada who presented "It Is Everyone's Job to Disinfect: It Is not Everyone's Job to Disinfect Everything". Participants were able to see a sneak peak of the new CSA Environmental Cleaning document and provide valuable feeback to Barry Hunt, Chairman and CEO of Class 1 inc. who facilitated the forum. Throughout the session, participants were able to hear from three industry sponsors Diversey, Optisolve and AMG Medical about their company and their products. Participants also had the opportunity to engage with additional vendors, in addition to the sponsors, namely Clorox, Prescient, Cornerstone Medical, Daniels Health, Hygie, SC Johnson and RL solutions. We would like to thank all the vendors and sponsors for their continued support and participation at our meetings. Presentations will be posted to the IPAC SWO Chapter Meeting page of this website with speaker permission. Kathie McGhie, Erika Vitale, Darlene Rojek, Elaine Reddick, Cheryl Tung, Cara-Lee Coghill, Francine Paquette and Eleanor Paget. IPAC SWO was one of two chapters highlighted in IPAC Canada's IPAC News Fall 2018 Edition. Highlights in the article included activities associated with the Educational Workshop "Cracking the IPAC Code" and the "IPAC 101 for Clinical Office Settings" which was targeted to a non-traditional healthcare sector group. The IPAC News Fall 2018 edition can be found in the members only section of the IPAC Canada Website. It is our honour to announce the 2018 Betty Bannerman Award winner is Brenda Prouse, ICP at Alexandra Hospital in Ingersoll. The Betty Bannerman Award of Excellence is designed to recognize an IPAC SWO chapter member who has made outstanding contributions to the practice of Infection Prevention and Control. The Betty Bannerman Award of Excellence is generously sponsored by 3M Canada. Brenda first received her Certification in Infection Control 2007 and continues to re-certify this credential. Brenda is a humble leader with an engaging manner that brings out the best in others. Her calm and supportive leadership style, her sense of humor, and her creative yet practical approach have been much appreciated by those who have been fortunate to have worked with her. Since joining CHICA Canada in 2002, Brenda has demonstrated her commitment to the IPAC SWO chapter She has participated on the organizing committees of a number of large successful local conferences. At the 2018 National conference in Banff, Alberta, Brenda and her colleagues from Oxford County Public Health presented the poster: “Three Sputum Away from Freedom”. Within the IPAC SWO chapter ,Brenda has an extensive history of volunteering and assuming leadership roles. She has served as President-Elect, Chapter President, Education Co-Chair, Secretary and filled in when needed as Membership/Treasurer. 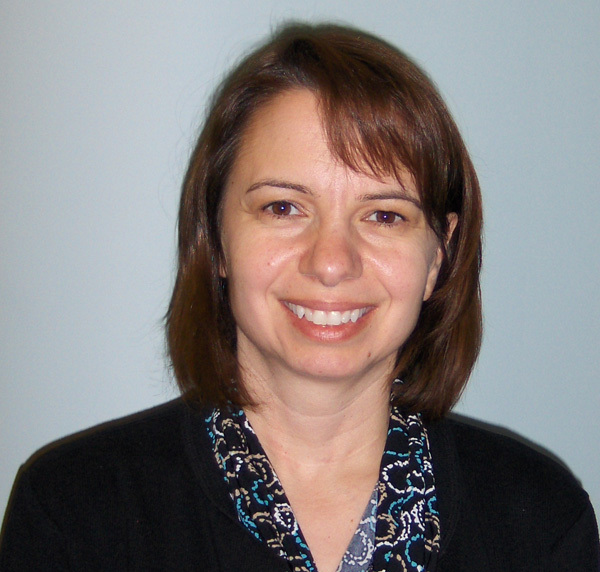 Brenda exemplifies the qualities of exceptional leadership, service and excellence in the field of infection prevention and control and is a worthy recipient of the IPAC SWO Betty Bannerman Award of Excellence. Did you know that you can access presentations from past education days here? Visit "IPAC SWO Chapter Meetings" on the right navigation bar to access these documents. IPAC SWO chapter was well represented at the 2018 IPAC Canada National Conference in Banff, Alberta. The conference took place from May 27-30, 2018. The event brought together delegates from across the country as well as from other countries as far away as Nepal, USA, Saudi Arabia and Nigeria. Congratulations to the following IPAC SWO chapter members whose poster presentations were accepted by the 2018 IPAC Canada National Conference. Kim Hobbs, Sonalben Shah, Jaime Lynn Cornelius, Jessica Kooger, Shelby Ludington from Woodstock Hospital. Decending the Summit of VRE Transmission: Drastic Reduction of VRE Nosocomial Cases and Outbreaks on Acute Medical Units. A summary of the above posters can be found on the in the 2018 IPAC Canada National Conference Oral And Poster Presentation booklet. Delegates from the IPAC SWO Chapter will have the opportunity to share their experiences and what they have learned at an upcoming IPAC SWO Chapter Meeting and Educational Day. The next IPAC Canada National Conference will be in partnership with International Federation of Infection Control (IFIC) and is scheduled for May 26-29, 2019 in Quebec City. Congratulations to Lindsay McKeen and Eleanor Paget From Public Health Ontario for creating the winning submission for the 2018 Ecolab Poster Contest. The award was presented on May 27th at the IPAC Canada annual conference in Banff, Alberta and was accepted by IPAC SWO President Elect Francine Paquette. The poster is available for download and printing through IPAC Canada's Ecolab Poster Contest Webpage.